The Oasis F100 model is a simple straight-forward wall-mounted drinking fountain with a bubbler valve for quick and easy instant hydration. 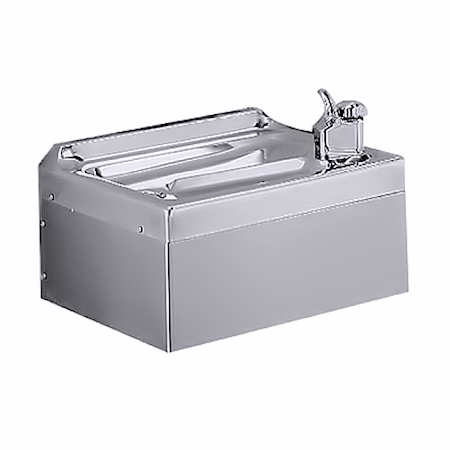 This unit features an Anti-Splash Ridge built into the bowl which ensures for a smooth and mess-free drinking experience. The standard cabinet finish is Stainless Steel or optional Regency Bronze finish is available at an additional cost. Ideal for those looking for a simple, low-cost hydration solution.